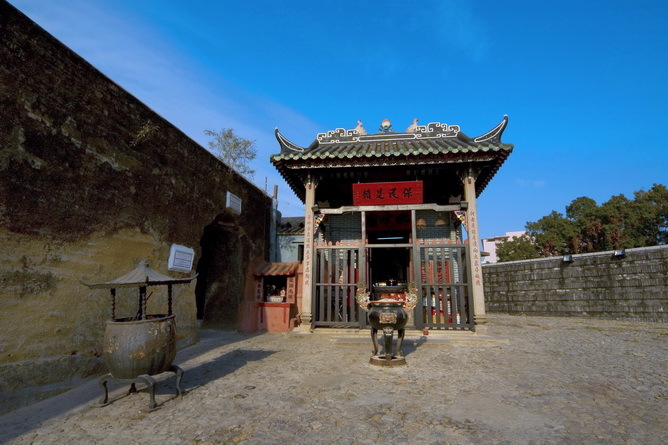 Similar to the Na Tcha Ancient Temple at Monte, the Na Tcha Temple near the Ruins of St. Paul’s Church is composed of halls and shrines. 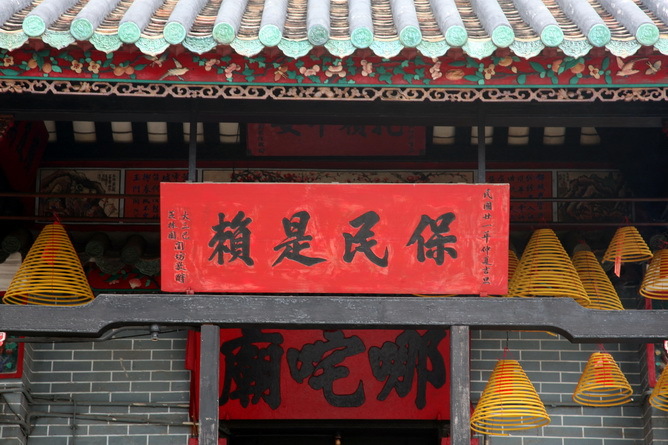 It was built in1898 to dedicate to Na Tcha, King of Earth Treasury, Monkey King, the three Virtuous Mothers and the Celestial Emperor of the Purple Forbidden Enclosure. 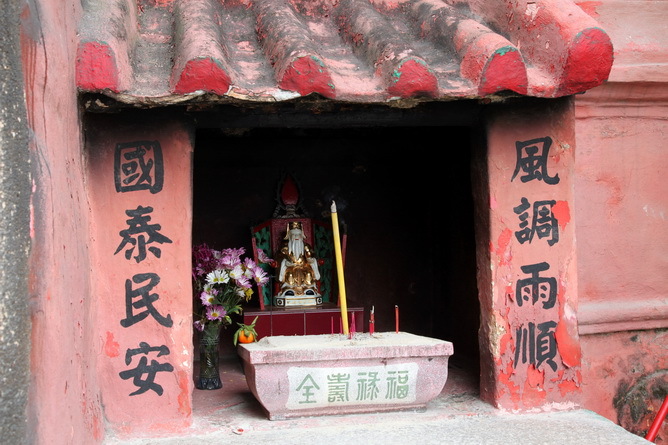 The Na Tcha Temple by Ruinas de Sao Paulo was constructed in the 24th year of Guangxu Reign (1898). 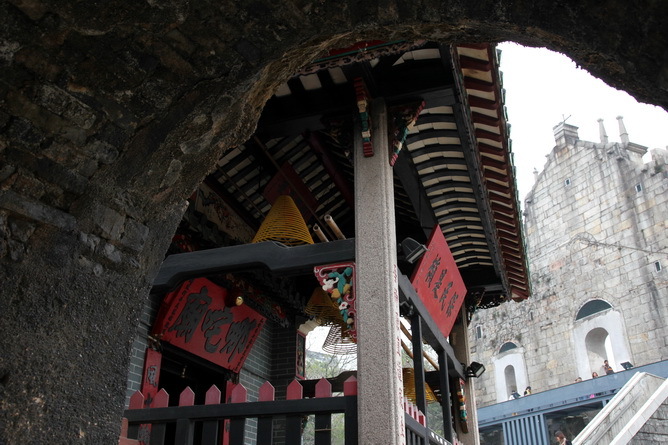 There are couplets on the gate: "The loop of universe represses the evil and the wheel of wind and fire brings blessings and peace." 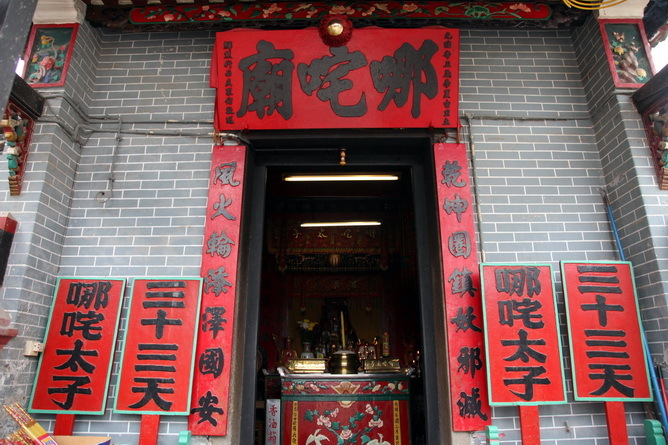 The temple consists of a main hall and a worship pavilion, whose architectural style inherits that of the Na Tcha Temple by Calcada das Verdades. 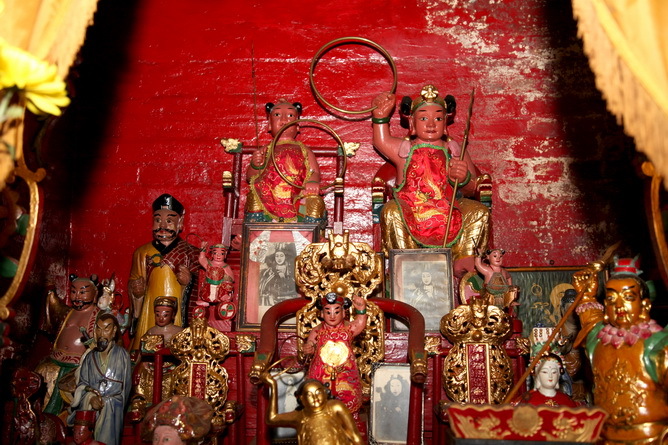 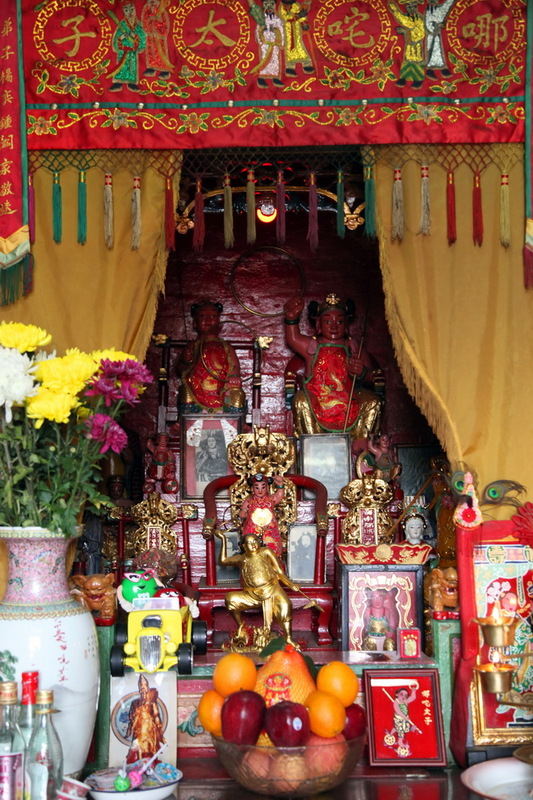 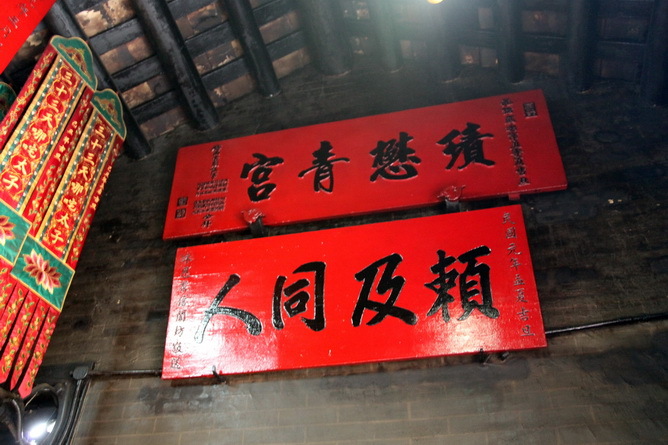 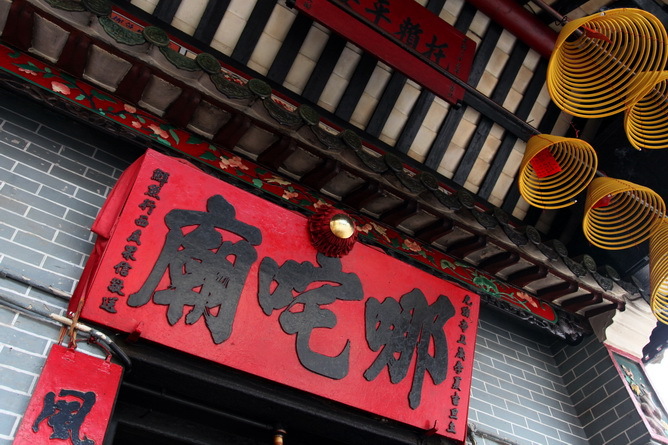 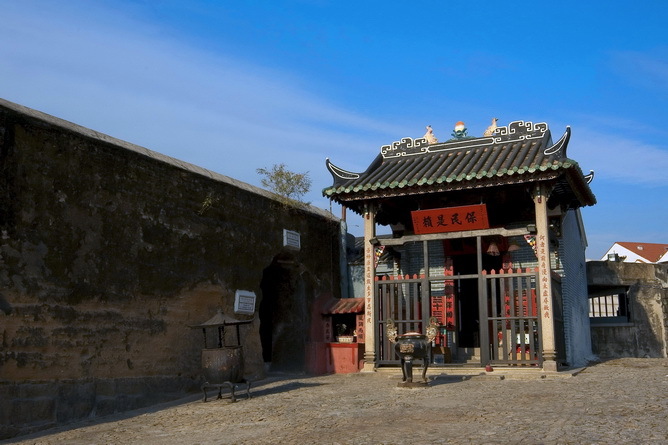 The temple is dedicated to Na Tcha, God of Earth, Monkey King, Sam Leong (mother of Mencius) and Emperor Ziwei.